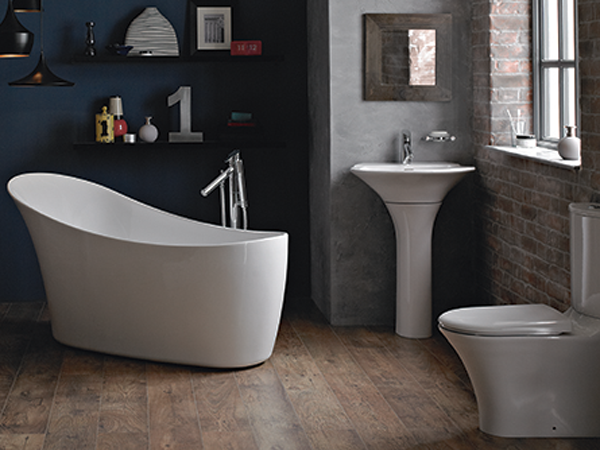 We offer a large range of bathroom products from some of the finest companies throughout the UK. In our showroom you will find a whole host of beautiful suites in classic, traditional & modern settings to guide and inspire you in creating your own dream bathroom. We offer an extensive range of either handmade or factory built units from various companies. We deal with a whole host of bathroom suppliers such as: Frontline bathrooms, Heritage, Imperial, Stonearth, Eco Bathrooms & many more. We have 3 large rooms dedicated to bathrooms all designed with the greatest care, showcasing our finest tiles & natural stone complete with all of the bathroom fittings. All of our bathroom items are competitively priced & throughout our network of distributors, most items are available on a 2-3 days service. We offer a free no obligation design service on all our bathrooms and are happy to offer our opinions and ideas from our years of experience. We can offer a large range of bathroom accessories including, mirrors, toilets roll holders, soap dishes, etc in various materials and finishes. Here at Fitton Oake we can offer a full fitting service on all bathrooms or we can supply only.